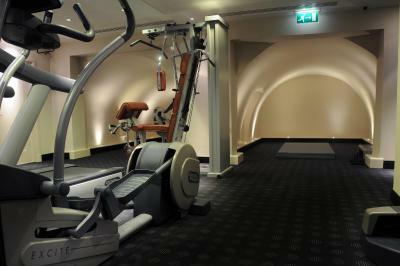 Lock in a great price for The Arch London – rated 9.2 by recent guests! Great location. Some of the most friendly and well trained staff I ever experienced. Exceptional chef. Will be back. Cleanness and good location. Staff very professional and helpful. A New menu! A new chef? Anyway the food was better (but expansive)! The bed was like a cloud. Staff was very attentive. I liked everything about the hotel and the location of the hotels as it’s close to all the attractions in London. The stuff is very polite and helpful. The location is excellent. The location is excellent, it is next to Hyde park and all shopping center are close. The room is clean. The location is fantastic, breakfast was excellent, and the front desk staff was extra helpful. The Arch London This rating is a reflection of how the property compares to the industry standard when it comes to price, facilities and services available. It's based on a self-evaluation by the property. Use this rating to help choose your stay! This elegant, dog-friendly hotel is located within a short walk from Marble Arch and Hyde Park in central London. It spans 7 Georgian townhouse buildings, and has free WiFi and a choice of dining options. Rooms at The Arch London are stylish and modern, with a flat-screen satellite TV and a desk for working. Each also comes with facilities for making tea and coffee, and features US and EU adapters. Every room has a rain shower and most have a TV in the bathroom. Connecting rooms are available at this family-friendly hotel. You can dine in the HUNter 486 restaurant, or enjoy a drink in Le Salon De Champagne. Afternoon teas are also served, and each morning a continental or full cooked breakfast is available. The Arch has 24-hour reception, multi-lingual staff, and offers a cleaning service twice a day. Guests also receive a free newspaper every day. 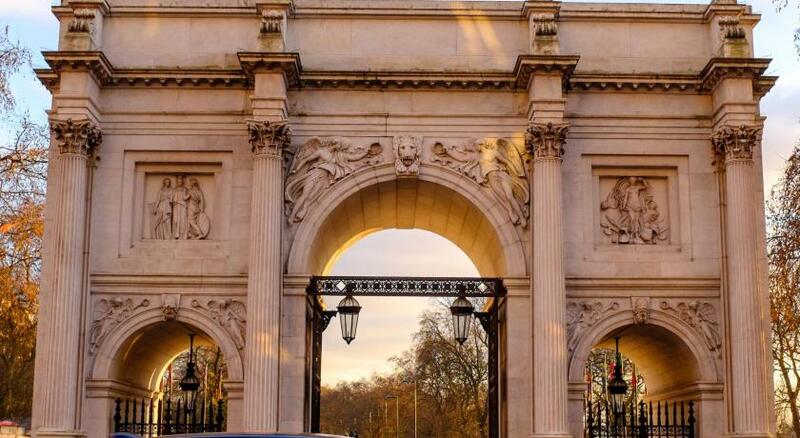 Marble Arch Underground Station is just a 2-minute walk away, for accessing the famous attractions of the city. Paddington Station is 0.8 mi away and offers direct links to Heathrow Airport, via the Heathrow Express. When would you like to stay at The Arch London? Air-conditioned rooms with a double bed, Sky TV, free internet access and complimentary soft drinks bar. There is also a Nespresso coffee machine, laptop safe, 24-hour room service and a work desk. Air-conditioned rooms with with large double or two single beds, Sky TV, free internet access and complimentary soft drinks bar. There is also a Nespresso coffee machine, laptop safe, 24-hour room service and a work desk. Spacious, air-conditioned rooms with a king-size bed or two single beds, a seating area, Sky TV, free internet access and complimentary soft drinks bar. There is also a Nespresso coffee machine, laptop safe, 24-hour room service and a work desk. 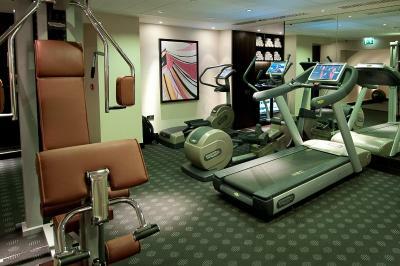 Air-conditioned suites with a seating area, Sky TV, free internet access and complimentary soft drinks bar. There is also a Nespresso coffee machine, laptop safe, 24-hour room service and a work desk. Spacious bedroom suite with an average size of 44 square yards with seating area, large flat-screen TV, spacious bathroom, Each suite features: free WiFi, free soft drinks in the mini-bar, free Nespresso and tea making facilities, Sky channels, internet radio, 24-hour room service and working desks. There are also US and European adapters, a laptop safe and a DVD player. Featuring a higher floor view, this executive suite features air conditioning, sofa area, mini-bar, Sky satellite TV, free internet access, and complimentary soft drinks bar. There is also a Nespresso coffee machine, laptop safe, 24-hour room service and a work desk. Spacious suite with a separate sitting room, bedroom and large private bathroom. This suite has either a terrace or kitchenette: please state your preference in the Special Requests box. Average of 47 square yards. Please note that some rooms are located on the ground floor and some are on the 1st floor. House Rules The Arch London takes special requests – add in the next step! The Arch London accepts these cards and reserves the right to temporarily hold an amount prior to arrival. Pre-authorization of the credit card may be taken by the hotel prior to arrival. Please note the payment must be from the original card, and the card-holder must be present. If the card-holder cannot be present, an alternative arrangement must be made at least 3 days in advance. You can use the Special Requests box when booking, or contact the property directly using the contact details provided in your confirmation. Extra beds cannot be added in superior and deluxe rooms. The card used to make the reservation must be presented on arrival. When traveling with dogs, please note that an extra charge of GBP 35 per night applies. Only dogs weighing up to 40 kg can be accommodated. Excellent service, nicely decorated, excellent food and wine. Best boutique 5 star hotel in London. By far. I cannot complain about anything. Exceeded our expectations. location was 30 seconds from Oxford street. Brilliant location. Extremely friendly and accommodating staff. Will definitely recumbent it for a travellers looking for a little bit of luxury. An amazing experience. The staff went above and beyond to ensure our stay was a memorable one. The room was spotless, bed was so comfortable! 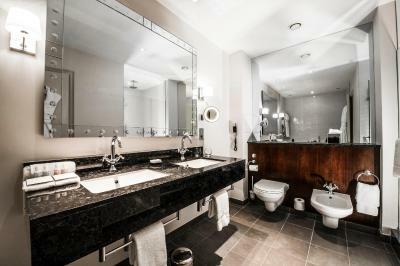 Amenities absolutely brilliant with complimentary soft drinks and a Nespresso machine and even a tv in the bath! Incredible experience. I will never stay anywhere else when I visit London. Superb hotel - would 100% stay again - very friendly staff! Even though we had a room upgrade and the room was wonderful, it is still quite small. Staff were superb, they went above and beyond to ensure we enjoyed our stay. Manager sent a hand written card to congratulate us on our 30th wedding anniversary along with a lovely platter of beautiful sweet treats, so thoughtful. Alexander and Fabian (apologies if I have the names wrong, it has been a few weeks since we were there) were very professional and welcoming, outstanding staff and hotel.